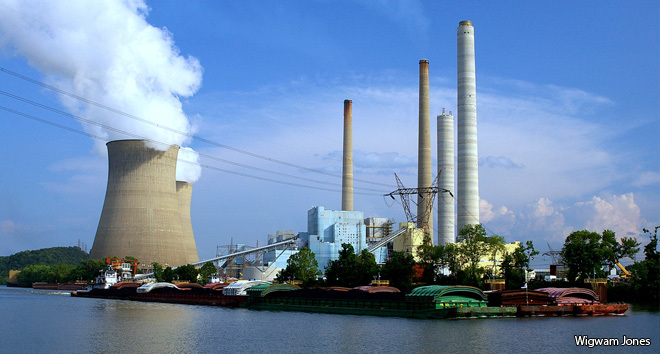 Climate change and sustainability issues are becoming increasingly widespread in recent years. It is argued that we need to start looking into alternative energy production, storage and usage to prevent negative effects on our health, and the planet’s. 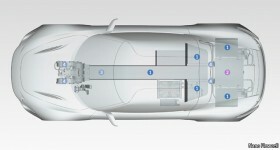 Hydrogen fuel cells have the potential to help with changing our current ways of thinking regarding the energy problem. A hydrogen fuel cell is a zero-emission electrochemical energy conversion device that directly uses Hydrogen (H2) and Oxygen (O2) gas to generate electrical and heat energy. The only exhaust emission from a fuel cell is water that is so pure, it was used for drinking water on the fuel cell equipped Apollo lunar space missions by NASA. As with any electrical battery, there is an anode and a cathode, and an electrolyte material separating them. 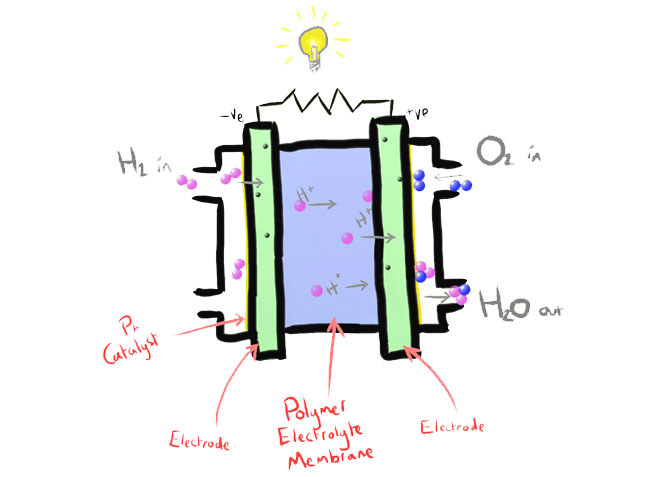 At the anode, H2 gas is supplied to the catalyst layer made of tiny Platinum (Pt) nanoparticles. This breaks down the H2 molecules, and leaves protons (2H+) and electrons (2e–). The protons can pass through the electrolyte material to end up at the cathode side of the fuel cell. However, the electrons are blocked and must travel around an external circuit to get to the cathode. This creates the electrical current that can be used for valuable work; such as spin a motor, or illuminate a bulb. Whilst the above is happening, at the cathode, O2 is passed over the Pt catalyst and is broken down into two atoms with negative charge. The negatively charged atoms help pull the H2 protons through the electrolyte material, to meet the electrons that passed through the external circuit. Here, the electrons, H2 protons and O2 atoms meet and form the exhaust water (H2O), a little bit of heat, and useful electricity. The electrolyte material at the core of a hydrogen fuel cell (HFC) is made of polytetrafluoroethylene (PTFE), which you might have heard of as Teflon®, used as a non-stick coating on frying pans. The PTFE core is hydrophobic, meaning that it repels water, which helps with the removal of excess water during operation. However, the core material is chemically modified to have side chains ending with sulphonic acid (HSO3) which is hydrophilic, meaning that it attracts water. This combination of a hydrophobic and hydrophilic material means that the electrolyte can remain hydrated, but expel excess water which could stop the reaction. This clever ability is fundamental to the transport of the H2 protons through the electrolyte. The H2 protons achieve this by grabbing on to an H2O molecule in the hydrated Teflon®, forming a hydronium ion (H3O+). This way they can catch a lift across the membrane to meet the electrons waiting at the other end. 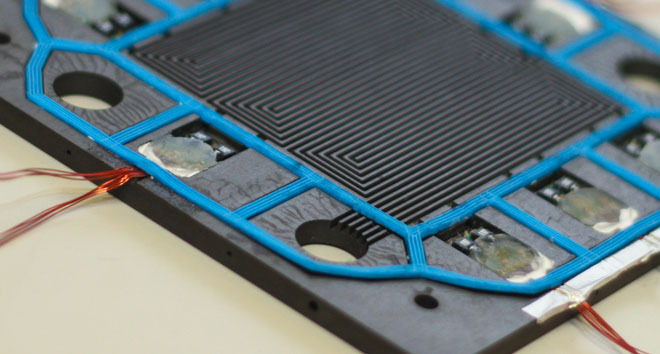 Fuel cells are normally manufactured in thin slices, and can output around 0.7 volts, which isn’t very useful. So to create a useful amount of energy, cells are arranged in large stacks, like slices of bread in a loaf. This modular design allows the power output to be as high as desired, for the system it is intended to be put into. So how many would I need to power an “average” house? How much does an average fuel cell cost and would it be cost effective to power your house vs say natural gas. Domestic fuel cell systems have been trailed all over the world, like in Japan, where they used a 1kW combined heat and power (CHP) system for an ‘average home’. This would be around 14 cells of 100cm2 in a stack (imagine slices of bread in a loaf). They currently cost around £15,000. However the prices are coming down year on year. It is expected that they will cost around £3,000 in 10-15 years’ time due to mass production. A system that could power all aspects of an average home would require more power, as an electric shower can draw 8.5kW and a kettle can be around 2kW. The target price for the next few years is around £1,000 per kW for a fuel cell system. The efficiency is vastly greater than a conventional combi boiler and electricity supply. The fuel cell when used as a CHP unit can produce electricity with around 45-50% efficiency (coal fired power stations, where your electricity currently comes from , is around 30% efficient), and the remainder of the energy from the fuel cell reaction is released as heat. This heat can be used to heat the home, therefore the overall efficiency can be as high as 98%! However, at the minute, it is cheaper to run your home on fossil fuel based energy supply. 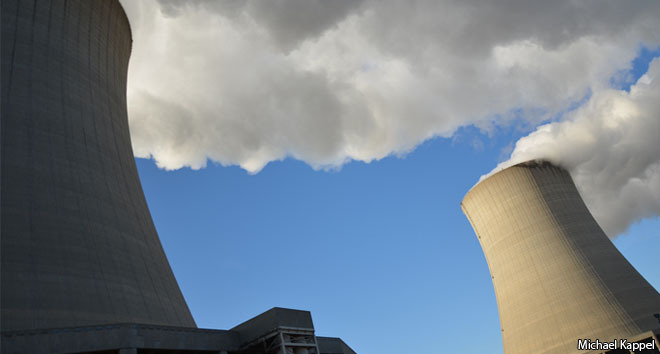 That being said the prices of conventional power supply are ever increasing, and governments are becoming more strict on emissions regulations. If we can produce the Hydrogen with ‘free’ energy sources such as solar and wind power, the whole process is zero-emissions and free to run. I would ask about the operating temperature of micro hydrogen fuel cell. Can it be 80 degress celcius or it must be lower? But also in case of fully humidified to eliminate the two phase phenomena. 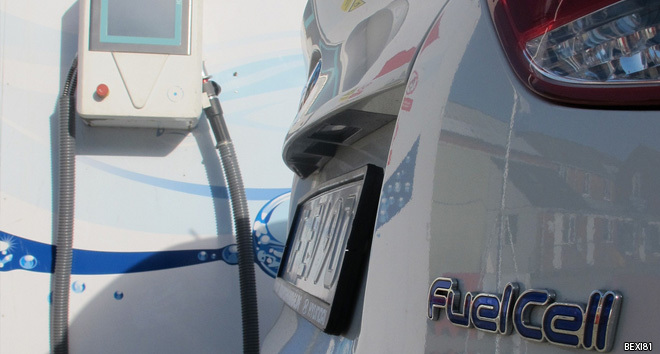 Are fuel cell cars better than electric cars? 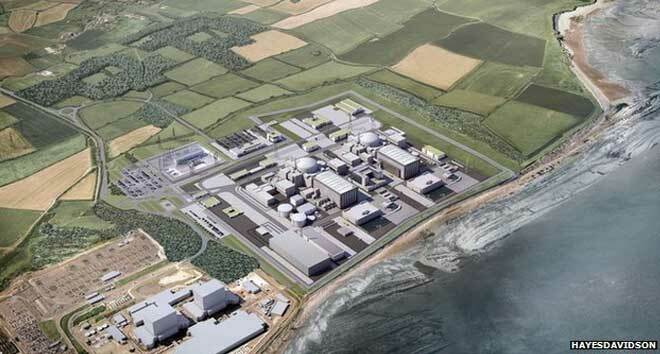 Is Hinkley C a good deal? What is a flow cell?